There is nothing that makes me feel older than having to squirt SPF 50 on the top of my nut, where I’m sure there is hair, but seems to get burnt if I don’t. What’s with that! I never had to before! While on my recent spring vacation with my family, a read a book recommended by several patients ( in fact read 6 books all recommended by patients). One of them was “Younger Next Year” by Chris Crowley & Henry S. Lodge. My patients recommending I read this book, how insulting. Like, I know who Justin Bieber is for gosh sakes. Now this book is somewhat geared for the 50+ folk and more specifically those that are or approaching retirement. However I am at the tail end of the Baby Boomer generation, so it was a quite interesting to read. And now, having seen some of my patients for over 27 years now, they too are in or about to retire soon. The main premise of the book was exercise, but more specifically movement, as movement is life. “Idleness as a powerful signal to decay … yikes! Exercise as the one great signal to grow … to live well”. I couldn’t help but think about my patients whom I presently see, and the goals of my treatment. I remember when I was younger and so were my patients. All active, injuries were coming in from sports or activity, or work related problems, and I was all about fixing them, getting them better and making sure that with the proper posture and gait training, along with the proper exercise I could fix anything (well, almost). But then too, my patients were younger and the repair process was different. “Take bone first. In the normal course (and please remember that the “normal course” is no longer your friend), you lose 0.3 to .05 percent of your bone mass every year after tghe age of forty. That’s right, the tide is sucking the bone out of your bones at the rate of perhaps one percent every couple of years. Which is one of the things that turns us into little old guys, all bent over and stupid-looking. Fall down, break your hip. Go to bed. Never get up. And muscle mass. That goes, too. Out with the tide. Turning the sweet muscles of your youth into the dusty drapery of old age. Makes you too weak to do stuff. Like run across the street if you have to. Or get out of the tub. Or ski. Or make love … move your pelvis back and forth in that pleasing way. No matter what, you’re going to lose muscle cells as you age; that’s one of the things you cannot change. So many of my patients come to mind, but many of them are doing well. Sure, they have arthritic knees, but the Laser Therapy and some exercises seems to keep it in check. Shoulders don’t have the range of motion that they once had, yet those patients are still playing tennis and working out, all with regular Neuromuscular Therapy, and some exercises. 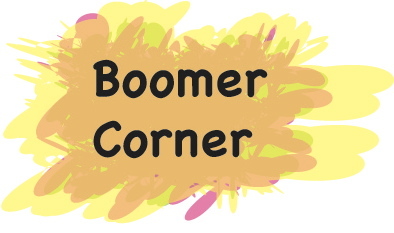 These days Massage Therapists are trained so extensively, and nothing could be more perfect for you, the Baby Boomer. We show and teach you how to exercise, workout, and guide you through movement, even if you’ve never done this before. In fact many of my patients follow the same workout routine that I’m on, cycling through the seasons and changing up the program accordingly. One patient, Jo, went from never being very athletic in her life, to becoming an exercise fein, becoming very strong, enough to enjoy her gardening. And a professor who went from not being able to climb a set of stairs because arthritic knees, to not having a problem since ( almost 5 years now). How? Neuromuscular Therapy (NMT), some Laser Therapy perhaps, and exercise. You need someone to guide you through the exercise process. Knowing when to push it, and when to back off. Sure, pulls and injuries can and may still occur, as with any activity, but having your therapist who knows how YOUR body works and reacts, can change things as you go. 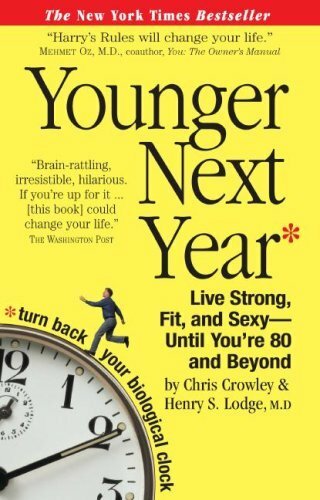 And this book reminded me that this, the exercise and movement therapy is key to moving into life after 50. I’m here now, and my patients will tell you I always said, ” oh, that will never happen to me” but it has and is. My left knee is arthritic, once to the point I was willing to go for surgery in a minute, but couldn’t get the MRI for a year. So I took my own advice, Laser, and rehab exercises, and now, nothing. I don’t feel it a bit. Reading my eventually MRI report and you would say that there should be no way that I’m not in pain, but I’m not. Sure, I have not snowboarded in a couple of years and may never again with the fear of tweaking my knee, but I can run, lift weights and boogie board all day long. My goals with treating some of my patients now is to become part their daily health regime. With the likes of Facebook and Instant Messaging I can be a quick answer away when a patient needs an answer or has a concern, or feels a tweak. And we can change programs, treatments and exercises as needed. That is where i see my therapy heading . Down a road of keeping us moving and pain free. Some things you just can’t reverse, as with the arthritis in the knee. But I can at least help with the pain, and making sure that the knee, or hip, or shoulder will last a longer time. Consult your Massage Therapist. This may be the most important health care provider you may have in your arsenal heading into those Golden years. Now if only I could do something with the top of my head! Next post: Ministry of Silly Walks for Re-Training?